The former president believes that Ukraine "could give way" to free hostages. The representative of Ukraine in the Tripartite Contact Group at the Minsk talks for the settlement of the situation in Donbas, Leonid Kuchma, called for the soonest exchange of prisoners. "At least, the date [of exchange] is agreed upon. When the parties meet, they agree on a final landmark where they would like to meet and arrange the handover. The lists are also agreed upon – 74 for 306," Kuchma told reporters on 12 December and added that the final announcement should be made by President Poroshenko who is personally involved in the matter. "When both the president of Russia and the president of Ukraine said that they would do this, it should be done however hard that is." Kuchma said that Vladimir Putin decided to talk with the leaders of militants after a long period of lack of progress in this issue "to demonstrate to the world his desire for a peaceful diplomatic solution to the situation." 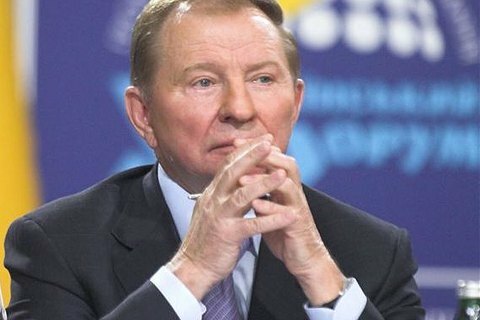 Kuchma said that the main problem with the exchange of prisoners was that some of the persons requested by the separatists would not want to return to the occupied Donbas. The former president also believes that for the sake of the exchange, Ukraine should be prepared "to give in something", except for those people whose names have already been agreed upon. At the same time, he expressed confidence that the deal will be reached and people will be released before the New Year and Christmas holidays. The Tripartite Contact at the Minsk talks has agreed on the exchange of prisoners with the "DPR" and "LPR" in two stages. At the first stage," DPR" and "LPR" should release 74 Ukrainian prisoners, while Ukraine will release 306 separatists. This should happen before the New Year and Christmas holidays. At the second stage, Ukraine will have to release 80 prisoners in exchange for 20 Ukrainian prisoners held by "DPR" and "LPR". At the recent meeting on December 5, the parties could not agree on the exchange date despite previous agreement to hold an exchange before the New Year holidays.